It should be obvious from the intense lobbying and advertising efforts of Canada’s Federal Government, the Alberta Provincial Government and the Canadian Association of Petroleum Producers that the KXL pipeline is a very big deal indeed for those with a stake in expanding oil sands production. Federal Natural Resources Minister Joe Oliver accuses his domestic political opponents of putting tens of thousands of Canadian jobs at risk by urging Washington not to approve KXL. At least on this matter, he is right; without new transportation infrastructure, the massive investments that result in growth in oil sands production will be postponed or cancelled. But that’s the message provided to a Canadian audience. Yes, there are transportation alternatives to pipelines, but they are not at all favoured by the industry. Rail is, for one thing, more expensive, by perhaps $10 per barrel, which, even if that is not enough to make an oil sands project uneconomic, it does take a bite out of profits. It also reduces the margin of economic safety that producers would like to have as they look into the future at uncertain commodity prices and product discounts. There also needs to be massive investment in the oil-tanker rolling stock. The Lac-Mégantic tragedy brought home the danger of rail transportation and exposed the inadequacies of the DOT-111 tank cars, which make up the majority of the US and Canadian rail tanker fleet. According to this report, the shops that refit these tankers to safer standards are already at full capacity. 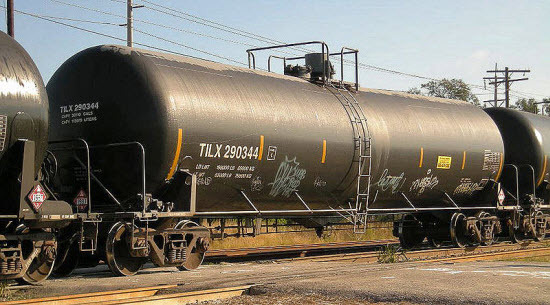 Canadian railway companies CN and CP are adding a risk surcharge for shipping oil on these old, unsafe cars that will add $0.50 per barrel to transport costs. As a result, some shippers fear the charges may erode the economics of shipping Canadian crude by rail, making it a less attractive option even as mid-stream companies invest billions of dollars to build more than 1 million barrels per day (bpd) worth of terminal and loading facilities in Western Canada. Meanwhile, there are reports of huge delays in passenger rail services due to oil shipments in North Dakota. No doubt, as oil sands products start to ship in greater quantities, the strain on the rail network and the disruption of other transportation will only get worse. The Final State Department Environmental Impact Statement argues that rail transport capacity can be scaled up quickly enough and, in some scenarios, the price difference between rail and pipelines is small (see page 1.4-90). But the oil men still don’t want to ship their product by rail. They want a pipe and badly, one that ships 24/7, that isn’t stopped by strikes or derailments, a system where they can make steady deliveries at fixed prices to the refineries on the Gulf Coast. It’s about building a piece of infrastructure that will last decades and is dedicated to one purpose only, providing the certainty of delivering their product to market. Admittedly, blocking the construction of new fossil fuel infrastructure is an imperfect way of keeping carbon in the ground. Far better would be to reduce demand. McNutt claims that the delay in approving KXL has not stopped development in the oil sands; she’s right, it has not stopped, but if we are to believe Canadian politicians and oilmen, restricting new transportation infrastructure does at least slow upstream development. For example, President Obama, who has yet to decide on the pipeline, could put conditions on approval that require Canadian authorities to reduce the carbon intensity of extracting the tar from the oil sands and processing it into a liquid petroleum product. The [Canadian] government, as part of its fidelity to the interests of the bitumen industry, has pulled out all the stops. Mr. Harper and his ministers have visited the United States to give speeches and hold meetings. Money has been spent on advertising. The full diplomatic capabilities of the Canadian embassy and consulates have been pressed into action. By his own account, the Prime Minister has often raised the issue mano a mano with U.S. President Barack Obama. Nothing has yet moved the U.S. administration, which in turn has sent repeated messages – some publicly, many more privately – that it would like (or need) some additional action on GHG reduction from Canada, including draft regulations on the oil-and-gas industry, to give Canada the answer it wants on Keystone. And yet, despite these signals, months and then years have slipped by, with the Harper government, the Alberta government and the oil industry refusing to move on regulations promised more than seven years ago. A classic rule of statesmanship is to listen to what your interlocutor needs to give you the answer you seek. But then this government, at home and abroad, does prefer lecturing to listening. In Alberta, we’re not looking to increase our price on carbon unless there’s going to be a move from the United States. There has to be a quid pro quo. McNutt is correct to say that that the decision on the pipeline gives President Obama leverage. But it hasn’t worked, because Canadian politics is currently immovable onclimate policy no matter how long the lever. Perhaps what is needed is not continued nudging, but a shock to the system by disallowing the pipeline altogether. A Freudian slip, in the last sentence, probably. According to the scripted talking points he almost certainly meant to say “kill jobs and hurt Canadian families”. Of course, one province in Canada does already have a popular and effective economy-wide carbon tax of $30/tonne of CO2e, British Columbia, where the economy is doing a little better than the Canadian average. Stephen Harper is an economist by training and must know that a carbon tax like BC’s would be the most efficient way of reducing emissions. But he is a politician first and he cannot risk alienating his base in the Canadian Prairies and his backers in Canada’s energy industry. He has dug himself a hole and there is no hope of constructive policies that would reduce emissions in the oil and gas sector as long as he is in office. The situation in Alberta Government is, if anything, worse. Firstly, it should be acknowledged that Premier Alison Redford, like PM Harper, is not a climate-science denier. In fact, she won an election against her more conservative opponent Danielle Smith, because Smith said that she was unconvinced about the reality of climate change (Smith has since accepted reality). The problem in Alberta is that the government there sees no other option to balance its budget except by increasing bitumen royalties. Graham Thompson, in an excellent piece in the Edmonton Journal describes how it is that Canada’s richest province, with a booming economy and full employment, can still barely manage to balance its books. The problem, in a nutshell, is those fracking Americans. Because of the shale gas boom and falling prices, Alberta has seen a $12 billion per year income from natural gas royalties and lease sales in 2005 fall to about one-fifth of that in 2012. At the same time, bitumen royalties have stalled at around $3 billion, due partly to a glut in oil supply in the US mid-west, thanks to growing shale oil production in N Dakota and Texas, which has reduced the price captured by bitumen on US markets. Along with this, a booming provincial economy and a rising population is placing demands on government infrastructure spending. Redford is politically unable to raise income taxes or to impose a provincial sales tax, Alberta being the only Canadian province without one. The logic, if we can call it that, is that the only way out of this fiscal mess for Alberta is by increasing bitumen production and by narrowing the price gap between bitumen and other oil benchmarks through delivering the product to refineries in Texas and Asia. Upgrading the bitumen in Alberta is not economic (see here for further discussion and links) and would require government subsidies, which would not be not forthcoming from the small-government conservatives in power in Edmonton, even if the money were available. The Alberta government and the oil industry know that the most profitable strategy is to ship the product to existing heavy oil refineries with spare capacity in Texas. This is the fundamental business model behind Keystone XL and no amount of nudging from American politicians is likely to change this, despite what Marcia McNutt and Michael McElroy seem to think. McNutt claims that that “President Obama, who has yet to decide on the pipeline, could put conditions on approval that require Canadian authorities to reduce the carbon intensity of extracting the tar from the oil sands”. 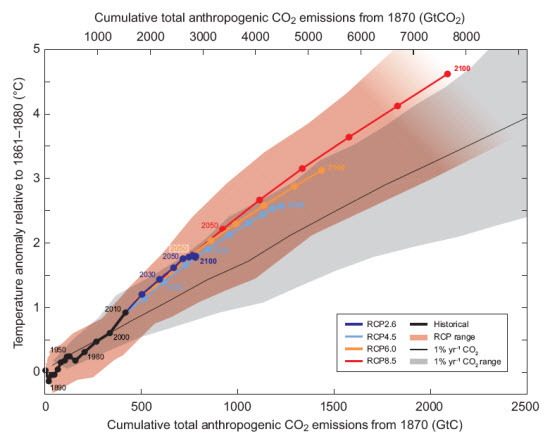 Note the careful use of “carbon intensity” (emissions per barrel) rather than net emissions, which will surely rise on the current pathway, despite efficiency improvements. 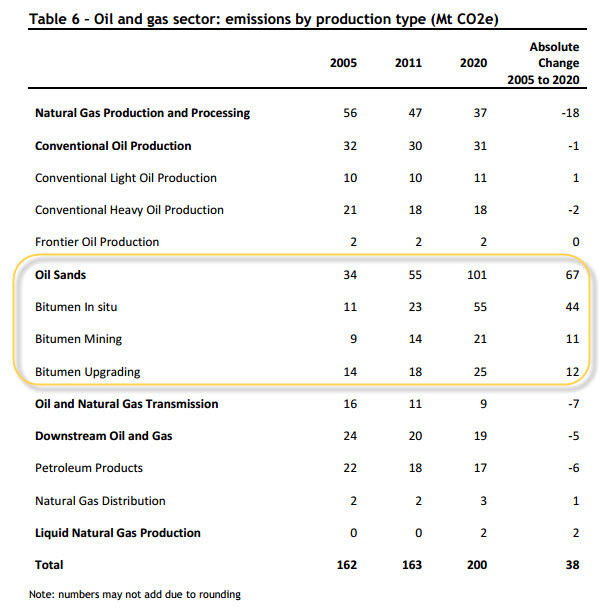 In-situ oil sands operations are the fastest growing source of emissions in Canada. Canada’s Emissions Trends, Environment Canada, October 2013. Highlight added. There are several options for reducing greenhouse gas emissions from oil sands operations, particularly in the emissions-intense and rapidly growing in-situ methods, which use steam to heat up the bitumen in the reservoir in order to make it flow. The steam is currently produced by heating water with (currently cheap) natural gas. It might be possible to supplement or replace the natural gas with solar and wind power, geothermal energy or even nuclear energy. Cogenerating electricity in the steam plants could provide power to the grid to offset emissions from Alberta’s coal-fired electricity. McElroy goes even further than McNutt: “With options like these [renewables, cogeneration], the president could stipulate that the well-to-wheel emissions associated with the tar-sands resource should not exceed the average emissions associated with current use of liquid fuels for transportation in the United States”. This would amount, in practice, to telling Canadians to shut their industry down until a technological miracle occurs. The most highly-touted solution to oil sands emissions is carbon capture and storage (CCS), in which the Alberta Government has invested large amounts of cash plus wads of hope and hype. Raphael Lopuchkine has just published two articles at DeSmog Canada: Alberta’s Carbon Capture and Storage Plans Stagnate as Carbon Price Lags and Government Subsidies Keep Alberta’s CCS Pipe Dream Afloat. 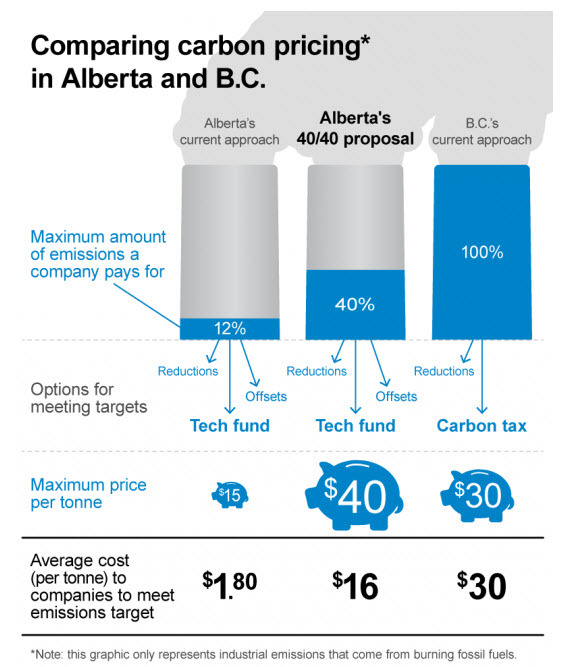 He shows how Alberta’s plans to reduce emissions through CCS are falling far behind schedule. The 40/40 proposal has been put on hold until the USA brings in a comparable tax, according to Premier Redford. Capturing and storing CO2 and making money doing it will require a carbon price of more than $50 per tonne. McNutt and McElroy seem to imagine that their President can cajole a sovereign country to introduce taxes and emissions standards that he would be politically unable to effect in his own country. The fact is, the current Federal and Alberta governments are immovable on carbon pricing, at least until the US introduces its own. Until then, Obama should just say no to the Keystone XL pipeline. A “no” to KXL would also send a strong message to the decision-makers in the oil companies. As they contemplate making huge long-term investments—investments so large that they have the potential to make or break their companies—they do not just consider the numbers calculated by their engineers and economists. They also have to weigh the unquantifiable uncertainties in an industry where business models frequently and rapidly get turned upside-down by unforeseeable changes in markets, technology or in the regulatory climate. A message from their biggest and, currently, only foreign customer that they don’t need their bitumen will ring loudly in the Calgary boardrooms. 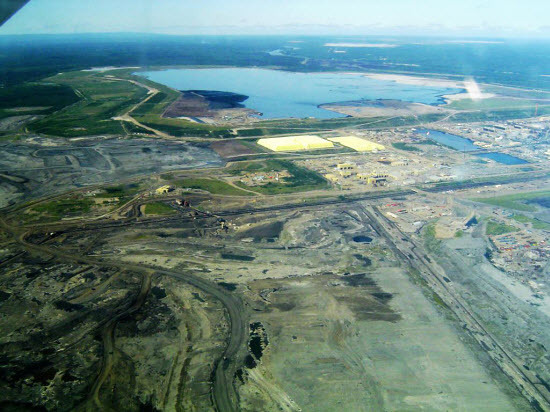 There is nothing inevitable about growing investment in the oil sands. The money can go elsewhere, perhaps as dividends to shareholders or to investment in cleaner energy projects. The Editor-in-Chief of the one of the world’s most prestigious science journals should know that doing her part for minimizing global warming requires more than a few gestures which, although they set a good example, are inconsequential in terms of solving the problem. The science is quite clear: to limit global average surface warming to 2°C will require drastic and urgent changes to our energy systems along the lines of the RCP2.6 model. Other pathways, sticking closer to a business-as-usual trajectory, cross the 2°C threshold around 2050, at which time the KXL pipeline would only be halfway through its plannedlifetime. 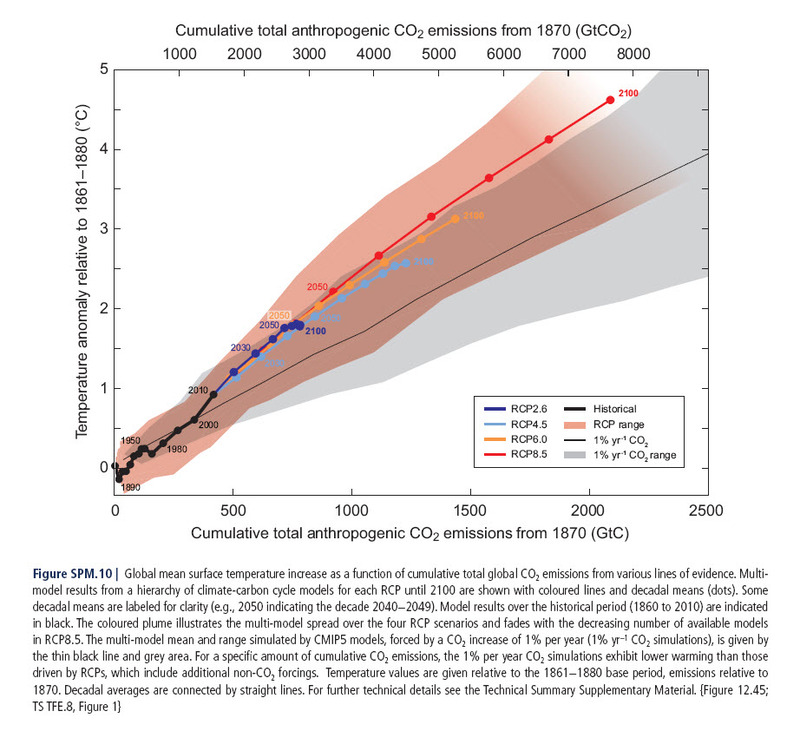 From the IPCC AR5 Summary for Policy Makers. Full size image with captionhere. It is so easy to get disoriented in discussing the minutiae: rail car specifications; different mixes of heavy oils; carbon offsets; cap-and-trade versus fee-and-dividend and so on, while losing sight of the overarching goal, which is not difficult to articulate: we have to leave most of the fossil fuel reserves in the ground. This means that, at the very least, especially in rich countries that already use more than their fair share of carbon, we should not be allowing the construction of infrastructure that facilitates—and locks in for decades—the production of new fossil fuel resources, particularly the especially dirty ones like the oil sands. This probably sounds simplistic, even naïve and radical to people who have been successful in making their way through academic and government bureaucracies, where prudence, respectability and moderation are prized above all other traits. Paul Krugman calls such establishment figures, with irony, Very Serious People. The industry tends to call the environmentalists ‘radical’ but the reality is that 95% of the standing native forests in the United States have been cut down. It’s not ‘radical’ to try and save the last five percent. What’s ‘radical’ is logging 99 percent. What is happening in the exploitation of the Alberta oil sands is not reasonable, it’s radical. But it is not radical to say “enough”; it is actually prudent, respectable and moderate. Moreover, it is a position backed by science, but, sadly, not by Science. This entry was posted in Hard Science, Soft Science and tagged Keystone XL, Oil Sands. Bookmark the permalink.